You Really Don’t Need No Stinkin’ Realtor! Take a look around you at Realtor’s representation of properties for sale and ask yourself “is this who I want to represent ME?” Their signs are rusted, crooked, falling apart, knocked down, or run over. Instead of featuring one or two homes in a trade magazine, they cram ten or twelve in resulting in print so fine you can’t begin to read it. Call the number on one of their signs and you’ll likely get a recording about the property. If they actually produce flyers, you’ll often find them without the price – Duh! Isn’t that the primary thing you wanted to know about the property? But not to worry because more often than not, the flyer boxes are empty. Some Realtors have hundreds of listings. How do they service them? The simple answer is…..they often don’t! Obviously. I could go on and on – but I believe you get the picture. Realtors just are not what they used to be when I was proud to place myself in that category. One thing that has remained constant, though – they expect to be paid the same commission. You can save paying that commission, and put the money in your own pocket. Who better to market your home than you? You only have the one property to be concerned with – so you can give it 100%. 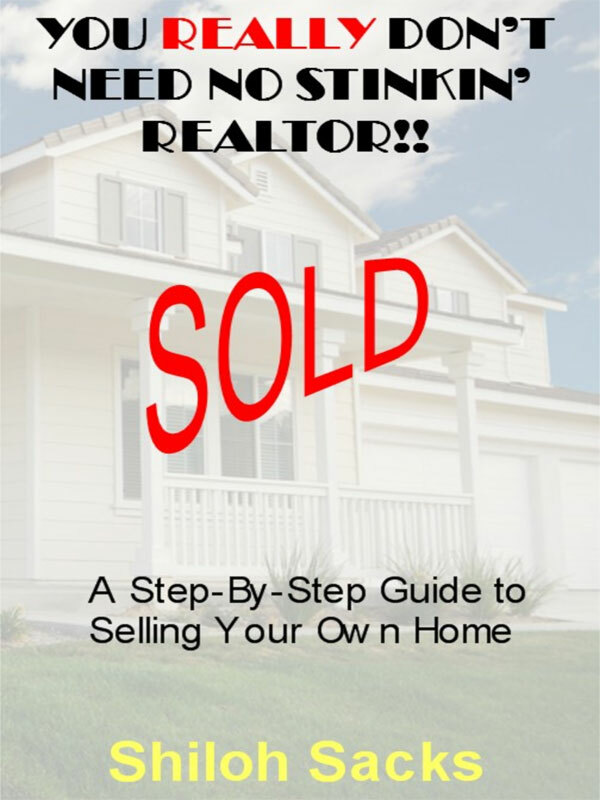 All you need is the know-how and it’s all contained in this one, easy to follow guide written by a true real estate professional who know what it takes to sell a house. I point out three things you must do to sell your home for top dollar in the shortest amount of time. I describe six problems your home may have that can instantly turn buyers off. I walk you through the process of getting the house ready to sell, pricing, marketing, right and wrong way to show a house, negotiating the sale and, finally…the closing! Required reading for motivated home sellers. You can purchase the book online from Smashwords in multiple eBook formats at http://www.smashwords.com/books/view/72604.